This research report by Julie Dirksen, Dustin DiTommaso, and Cindy Plunkett explores how AR and VR are a great resource for behavior change. Immersive storytelling differs from traditional storytelling in key ways that eLearning designers can exploit. L&D is evolving beyond the classroom and into the workflow, but how can you bring knowledge into the workflow in contextual ways that increase retention, create intentional refocus, and . . . Many learners want shorter nuggets of content. It can be challenging, however, for instructional designers to fit everything they need to do into five- to seven-minute chunks. If you’r . . . In this eBook, several industry thought leaders discuss their predictions and hopes for what will change in L&D over the next year. 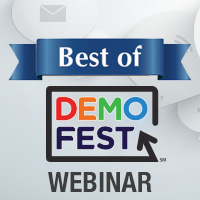 This webinar showcases some of the award-winning learning projects presented during DemoFest at DevLearn 2018 Conference & Expo, now available to all through this special online pr . . .
As more Baby Boomers are retiring, more Millennials are joining the workplace (and with 80 million people born between 1982 and 2000 in the US alone, that’s a major shift). Millennia . . .